BC Ferries is offering its popular CoastSaver fares on select routes and dates from September 4 through September 23. These value-priced sailings will be extended to 21 of BC Ferries’ 25 routes, including several for the very first time, making this the largest CoastSaver promotion yet. 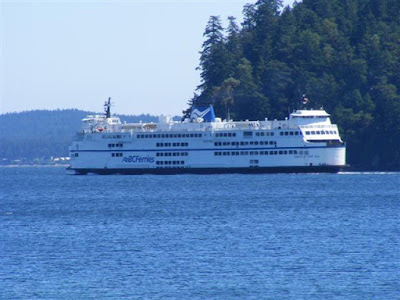 From Swartz Bay to Sointula, customers are invited to sail and save all month long with special CoastSaver fares. These special value sailings offer travellers savings of either $1.50 or $5.00 per adult and either $5.00 or $15.00 per vehicle, depending on the route travelled. On the Tsawwassen – Duke Point (Nanaimo) route, as well as all Southern Gulf Island and Northern Gulf Island routes, savings are available on all sailings from September 4 through September 23. In fact, commercial customers can save 35 per cent while travelling between Tsawwassen and Duke Point on each and every sailing during this three-week period. CoastSavers apply to many fare types, so whether you are walking onto the ferry as a foot passenger or driving a large commercial vehicle, customers can realize big savings when sailing with BC Ferries in September. The September CoastSaver fares will be available on all of BC Ferries’ routes with the exception of the Port Hardy – Prince Rupert, Prince Rupert – Queen Charlotte Islands, Alliford Bay – Skidegate and Port Hardy – Bella Coola routes. For full details on CoastSaver sailing schedules and fares, visit www.bcferries.com.